Values for LifeSavers is a set of assembly resources for primary schools designed to complement the Five Big Questions About Money classroom resources. Packed with more than 80 pages of ideas, these resources help children explore what it means to be generous, wise, thankful, and just with our money. Our values have a profound impact on how we think about and use money. Financial education has traditionally focused on teaching knowledge and skills, but attitudes and motivations are as important in determining financial behaviour. 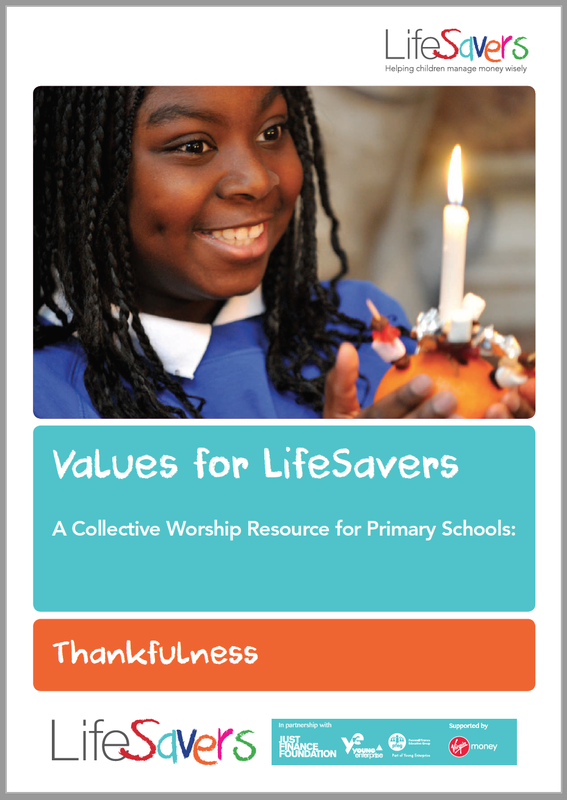 LifeSavers uses a values based approach, drawing on the rich tradition of Christian teaching around money. Schools are best placed to decide how and when to use these materials, which are suitable for a variety of groupings including whole school, Key Stage or individual class worship. There are 20 individual acts of worship, and 16 assembly outlines that follow each of the core values: generosity, wisdom, thankfulness and justice. Each act of collective worship or assembly outline follows a common pattern - Welcome, Learning, Reflecting, Responding and Sending – and contains a choice of activities, including drama sketches and dramatic story-telling. Divided into four themes, the 'Values for LifeSavers' resources cover each of our values: generosity, wisdom, thankfulness and justice. For each value there are 5 collective worship outlines for Church schools, with distinctly Christian content, and 4 assembly outlines that would be suitable for any school to use. Generosity is the desire to share what we have with others, our time and talents, as well as our money and possessions. Download our resources on Generosity & Money. Wisdom is the understanding of the consequences of our thoughts, words and actions, and an awareness of the true values of things. Download our resources on Wisdom & Money. Thankfulness is an attitude of the heart, acknowledging and enjoying the good things we have been given, including our money and possessions. Download our resources on Thankfulness & Money. Justice is ensuring that all people, especially the poor and oppressed, receive what is fair and right: life, freedom, dignity, and a decent standard of living. Download our resources on Justice & Money. Church schools are required to provide a distinctively Christian daily act of worship, whilst, in community schools, worship must be ‘wholly or mainly of a broadly Christian character’. 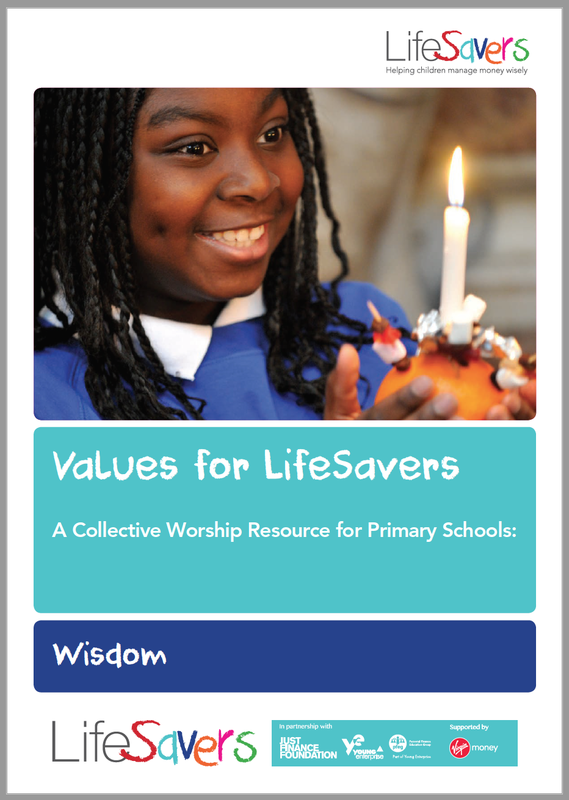 The Values for LifeSavers resources can be used to fulfil both of these requirements as well as helping you to provide enjoyable and meaningful acts of collective worship for all your pupils. Hard copies of this resource can be ordered online if you would prefer them printed.